Robert F. Gebbia (Bobby) is a passionate and experienced criminal defense attorney. He serves his clients with a style all his own. He is a zealous advocate for his clients. He is an active and exacting attorney with 10 years of experience in both State and Federal Courts. He practices in both State and Federal courts throughout all jurisdictions in the State of Texas. Bobby is also a licensed attorney, currently inactive, in the State of Hawaii. 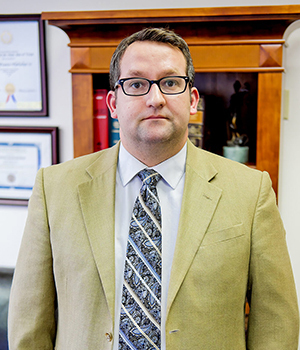 Mr. Gebbia has tried dozens of high-profile major felony cases and is qualified to work on death penalty cases by the State of Texas. He has been recognized repeatedly by his peers as one of the best criminal defense lawyers in San Antonio. During law school Bobby Gebbia interned at the Bexar County District Attorney's office where he assisted in the prosecution of felony offenses. Additionally, Robert served in USAA's General Counsel division for a year before returning to private practice. Bobby is an adjunct professor of law for both the undergraduate and graduate schools at Schreiner University. His current classes include Legal Environments of Business Law 1 and 2 and Business Law for Managers. Robert began as an adjunct professor with Schreiner in the Fall of 2014 and he previously taught English in South Korea. Bobby is currently a PhD student at Our Lady of the Lake University in San Antonio. In 2017, as part of his first year in the PhD program, he completed a partial dissertation literature review on the attributes of servant leadership and attorneys who perform criminal defense for the indigent. Bobby is a 2016 graduate of Schreiner University's MBA program, which focuses on ethical leadership. Bobby was a Dean's List student and 2007 graduate of St. Mary's University School of Law. In 2003, Bobby completed his undergraduate work at Hawaii Pacific University where he was a Dean's List student. He is a 1995 graduate of Sachem High School in Lake Ronkonkoma, New York where he excelled academically. He is a veteran of the United States Army where he served for five years as an Intelligence Analyst and Linguist. As an Intelligence Analyst, he was stationed in South Korea where he studied Korean at the prestigious Yonsei University. He is a 1998 graduate of the Defense Language Institute in Monterey, California where he studied Korean. Also, he was the 1999 Distinguished Honor Graduate of the United States Army Intelligence School in Ft. Huachuca, AZ. Robert was honorably discharged from his military service out of Fort Polk, Louisiana where he served with the fabled Second Armored Cavalry Regiment. In his leisure time Bobby enjoys stargazing through his Orion classic Dobsonian telescope and listening to his collection of classic Pink Floyd vinyl records. He is married to the wonderful Kealohalani Gebbia and together they have five amazing children.